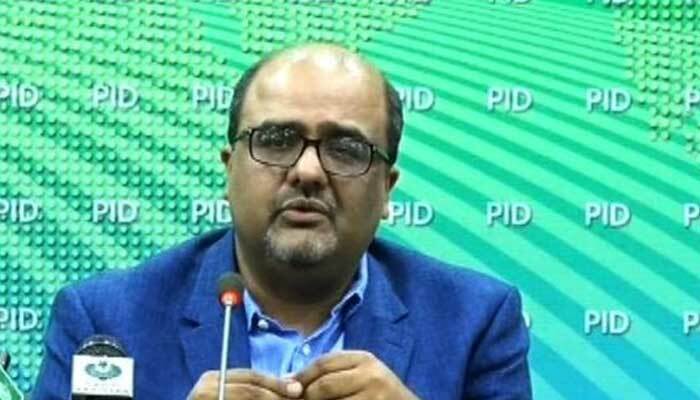 ISLAMABAD: Special Assistant to Prime Minister on Accountability Shahzad Akbar on Wednesday said details of 25 private trips undertaken by former prime minister Nawaz Sharif, costing the national exchequer about Rs250 million, were being forwarded to the National Accountability Bureau (NAB) as a complaint. He told a news conference here along with Special Assistant to Prime Minister Iftikhar Durrani that an agreement has been signed with Switzerland for tracking the bank accounts of Pakistanis, which had been endorsed by the Swiss government as well. The agreement, he explained, would enable the government to take data from Switzerland and informationwould start pouring within four-six weeks. He said Nawaz went on private trips but these were paid from the national exchequer and the purpose of moving NAB on this matter was to reiterate that in future premiers would not opt for such lavish trips. Unlike in the past, the Prime Minister’s Office was being opened as previously, such data on a prime minister’s private visits could not be obtained. Shahzad Akbar referred to some of the private trips and explained that on one trip to Jeddah in August 2013, which cost the nation Rs5 million Nawaz had taken along 18 persons on tax-payers’ money. Again in September the same year, he took along 12 people to the United Kingdom, which cost the national exchequer Rs20 million. He then proceeded to Saudi Arabia for performing Umrah at the cost of Rs17 million and 23 persons accompanied him. He expressed surprise that wealthy people like Nawaz could not perform Umrah from their own pocket. Shahzad added that the former prime minister went to the United Kingdom again in 2016, where he had his properties and could be looking after them, he had taken along 14 persons at the cost of Rs34 million. The special assistant said that the personal or private visits had been taken as if the expenditure was met from his own pocket but this was not the case. Shahzad was hopeful that the investigative bodies would ask questions and they looked forward to action accordingly on such matters. He added with regards to misuse of authority, more documents were being shared with NAB besides information on allegedly having assets beyond means. He pointed out that as a public officeholder, Nawaz was supposed legally to mention properties owned by his spouse but he did not. He said the previous governments deliberately avoided signing an MoU with Switzerland in this regard and wasted five-six years, which would be giving them access to all Swiss banks. He added under this agreement, they would try to obtain back-dated (old) information. Akbar said that they would be getting information from 200 countries and this required time and added they would be signing another treaty. He maintained approval of the cabinet would be obtained shortly for initiation of process for getting information from the British Virgin Islands for which the British government had already been intimated, as there had been great difficulty in getting information from BVI with regards to the Panama cases. He noted the case of misuse of VVIP plane by ex-prime minister had been formally sent to NAB. Speaking on the occasion, Iftikhar Durrani said the government had decided to form an organisation on poverty alleviation under the Prime Minister's 100 days programme that would be headed by Dr Ashfaq Hassan Khan. The proposed body would thrash out a policy after consultations at the federal as well as provincial levels.